it's been an average of 95 degrees around here. 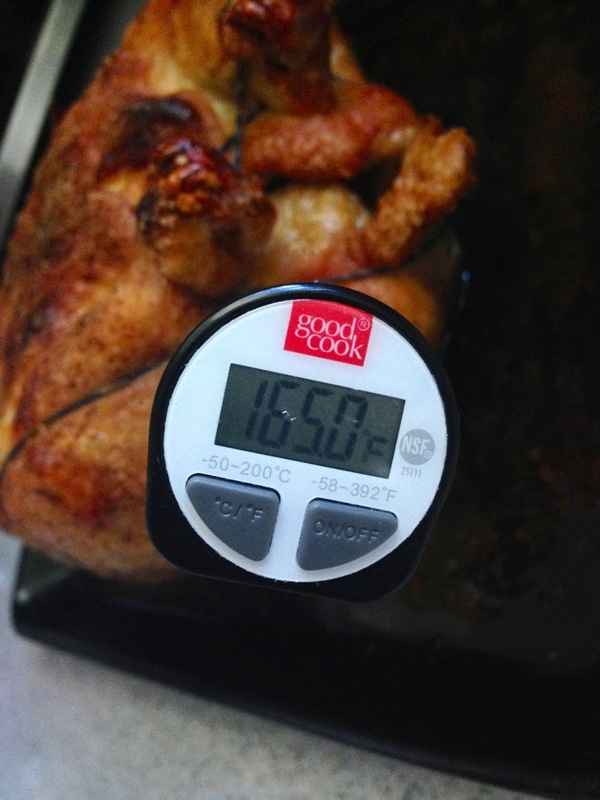 and what better way to celebrate than to roast a chicken! haha, just kidding. well, not about the chicken part. i really did do that. but i'd pinned an easy recipe to my pinterest board, and it sounded really good. so i decided to go back to the apartment living days and use my toaster oven to avoid heating up the house with the full-sized one. sounds like a good idea, right? you know what's weird? 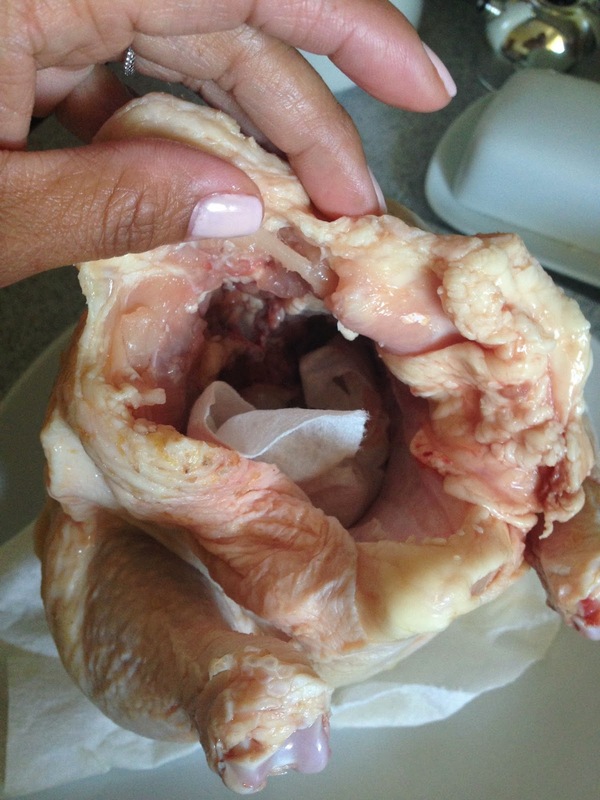 shoving paper towels inside a chicken to dry it out, per the instructions. 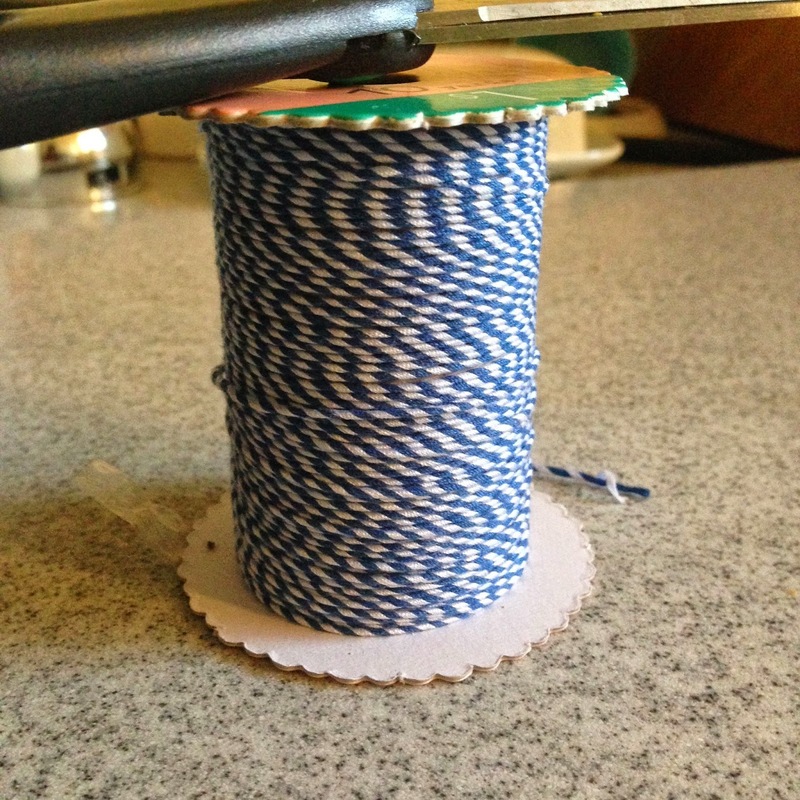 i was pretty happy to use baker's twine for the purpose for which it was intended. usually i bust it out for decorative purposes, like making a banner or something. look ma! 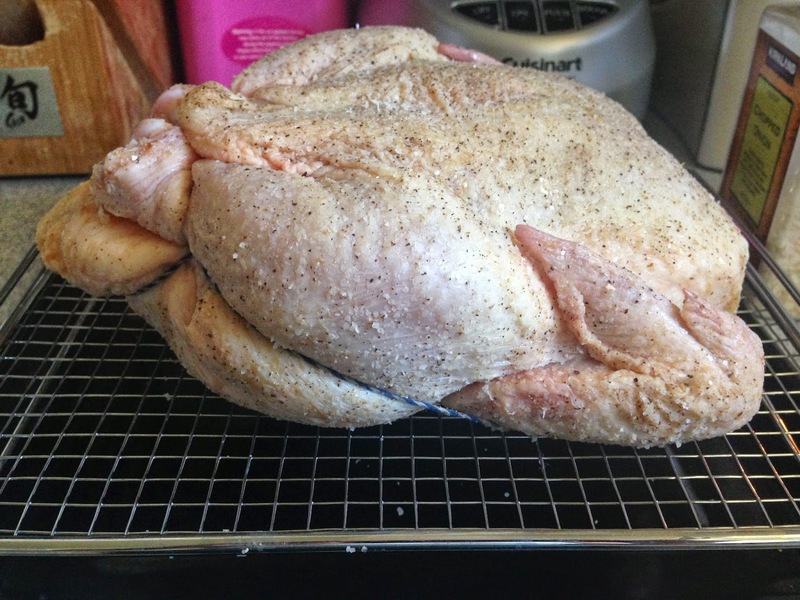 i trussed a chicken! 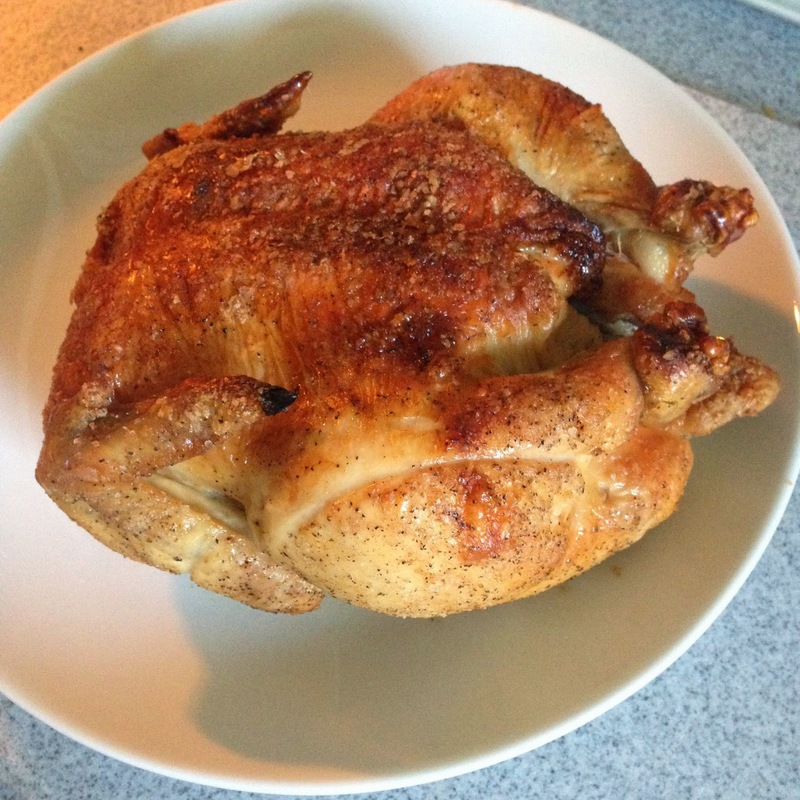 so it turns out that i'd overestimated how big my toaster oven is, or underestimated the size of my chicken. it seemed pretty small when it was in the fridge, but when i went to shove it in there, it didn't fit. 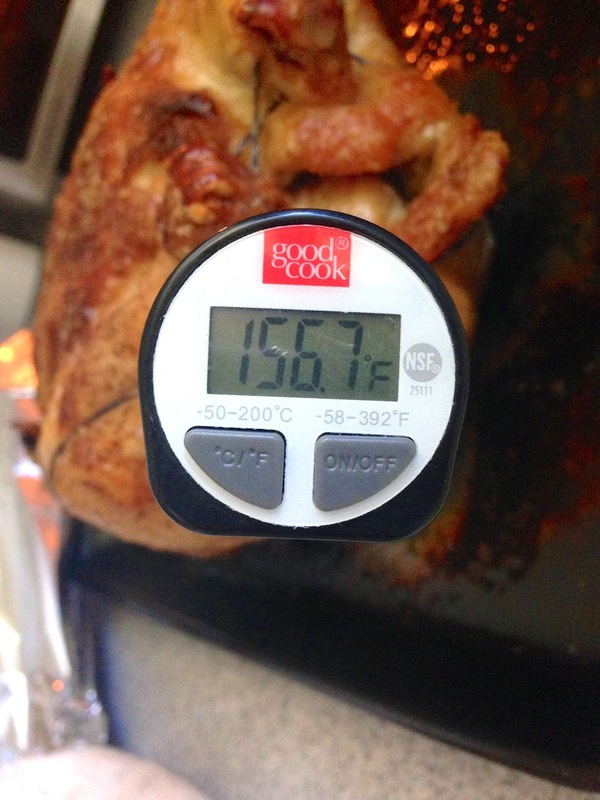 in fact, it sizzled as it touched the top of the 450-degree oven. poop. i wanted to bake it on a rack of some sort as suggested in the recipe, so i ended up busting out the perforated pizza pan that came with the toaster oven and placing it over a pan to catch drippings. it was about 20 minutes into baking when it seemed that the smell of the cooking chicken (which was fabulous, don't get me wrong) reached me in the living room. seemed a little soon, i thought, and sashayed back into the kitchen to check things out. let's just say i had to flip the switch on the hood fan, turn on every fan possible, and could smell chicken in every dark recess of the house. and that bird was browning really quickly, which i solved by covering it in foil for the rest of the cooking time. after an hour (total), i checked on her again. and look how pretty she was! aren't you a purty bird? yes, you are. 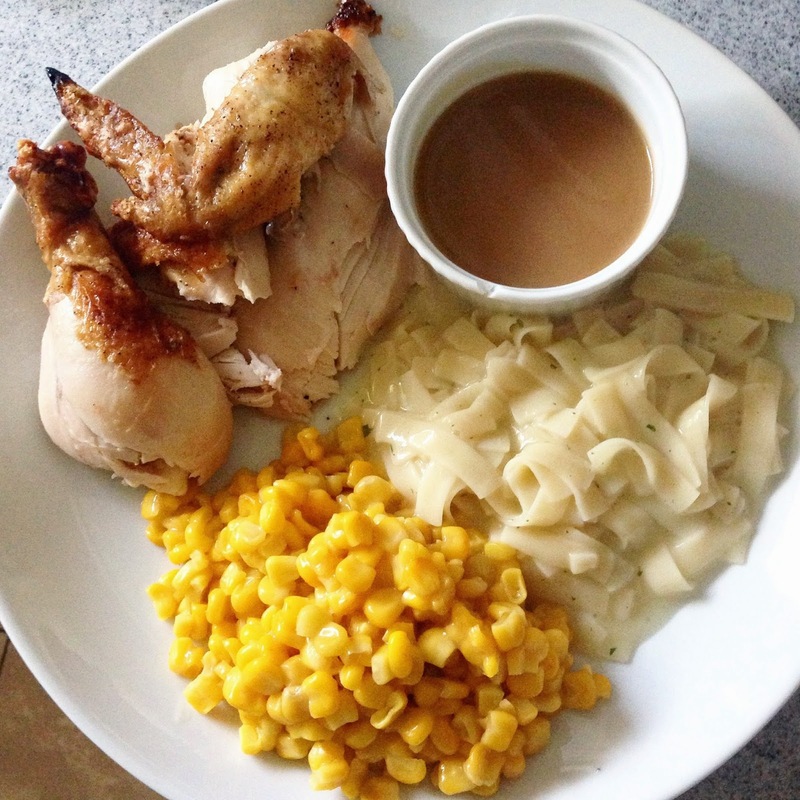 she was extra pretty on a plate alongside some buttered noodles, corn and gravy. i'll make this again, but i'll wait till it isn't as hot as the 9th circle of hell anymore. that way i can use the big oven. and maybe by then the smell of chicken will be gone. maybe.